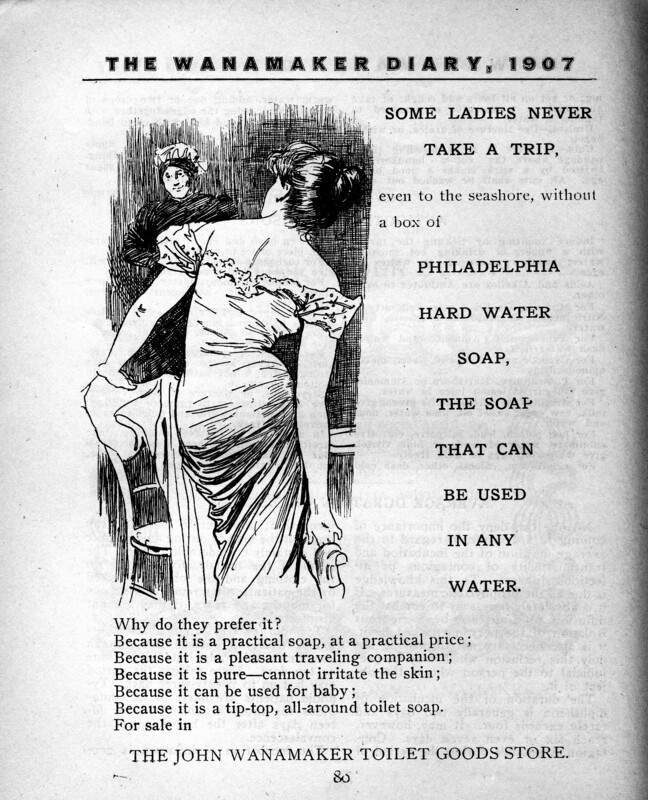 Posted by Jenny in history, Lifestyle, memoir. 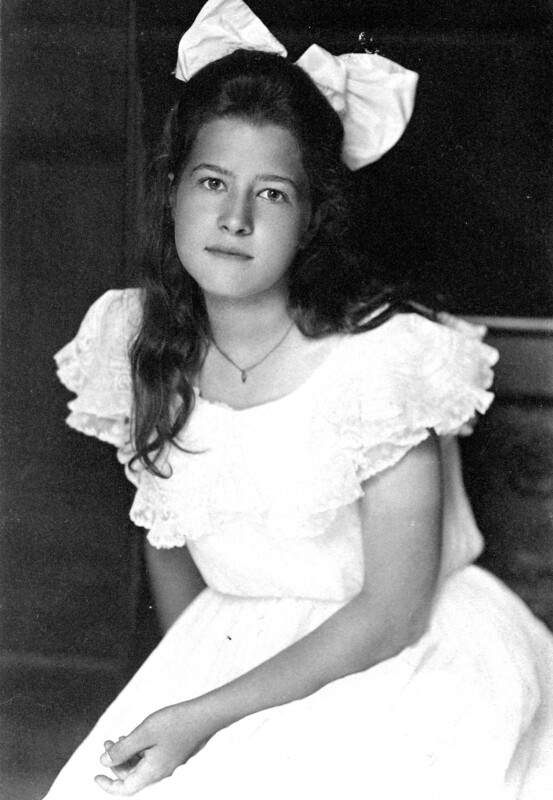 My maternal grandmother, Beatrice Grieb Johnstone, grew up in the suburbs of Philadelphia. When she passed away, my mother found among her belongings a diary she kept at the age of 16. 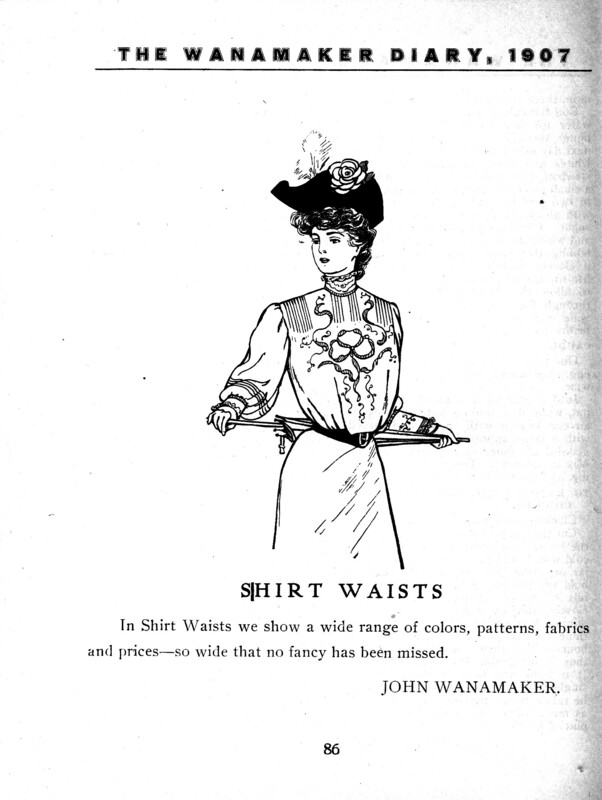 It was a hardbound volume with five printed lines beneath each date, clearly intended for the jottings of a society lady, produced by the John Wanamaker department store. Grandma’s diary entries had much to do with music lessons, ice skating, “rough-housing” with her cousins, and bringing a lizard to school to cause a commotion. She grew bored with the diary by September and apparently did not try it again the next year. A sensible means of reducing the number of inches at the waist, thus achieving slimness without compression, is to spend a few minutes in deep nasal breathing before an open window. Walk round the room stepping high, first with the right leg and then with the left. Walk round the room with the arms stretching up as high as possible, and working one after the other as though progressing along the rungs of an imaginary ladder laid horizontally near the ceiling. The walking must be done on the tips of the toes, so that the whole body is kept at full stretch. Once round a fair-sized room will be enough of this at a time. An elegant poise may be obtained, as well as a beneficial effect on the nervous system, by raising the leg sideways as high as it will go while standing perfectly still on the other foot. Repeat on each side alternately a dozen times. Artists have accepted the Greek proportions as those of the ideal figure, and, according to this model, a woman’s height when fully attained should be 5 feet 5 inches; her waist should measure 24 inches; the bust under the arms 34 inches; and over the arms 43 inches. The circumference of the upper arm should be 13 inches; of the wrist 6 inches. The thighs should measure 25 inches, the calves 14 1/2 inches, the ankles 8 inches each. And the weight of this ideal figure should be 138 pounds. 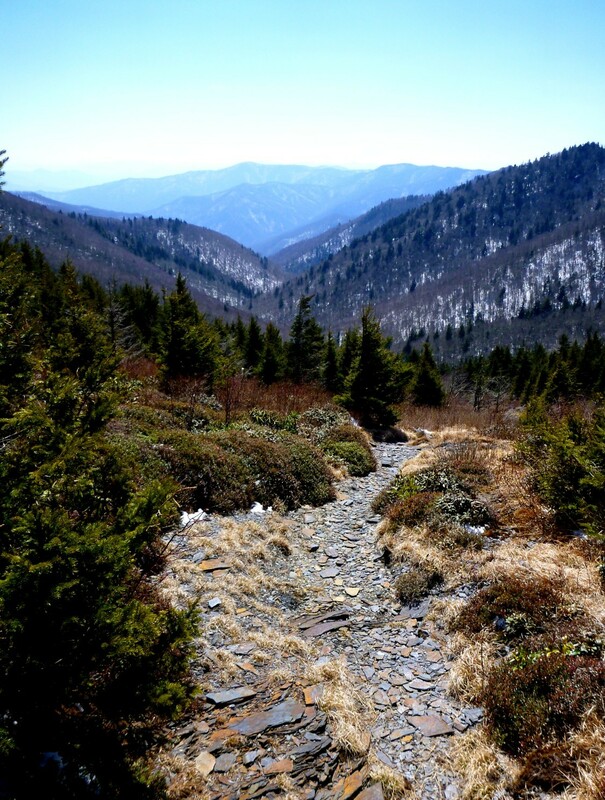 Posted by Jenny in hiking, Smoky Mountains. 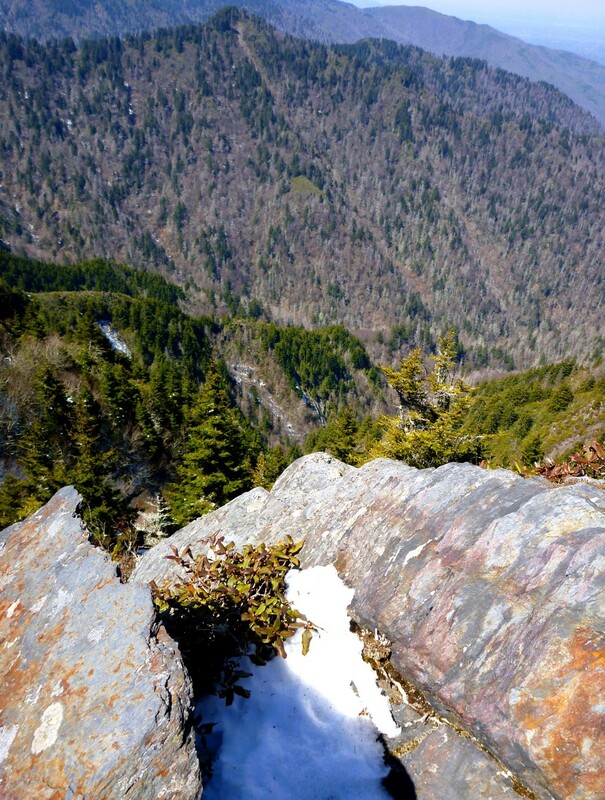 Looking down into the valley of Kephart Prong. 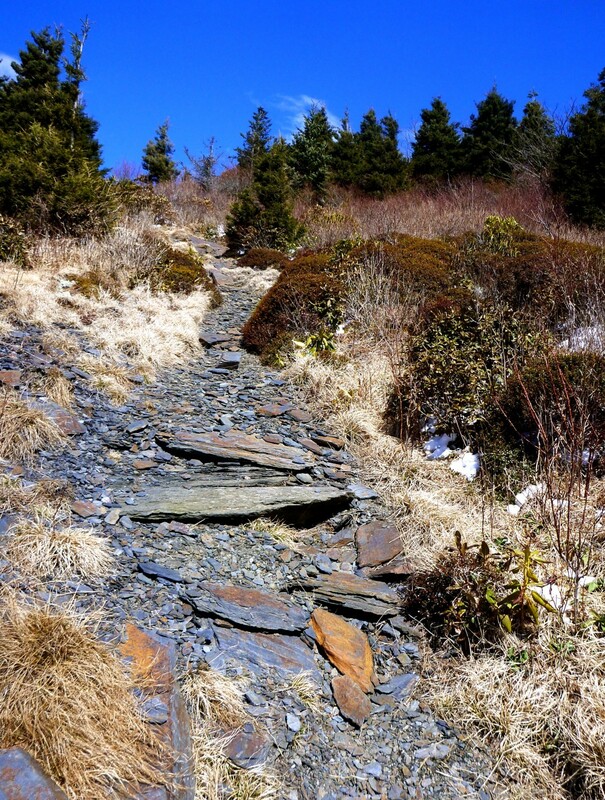 The original idea was to go to Rocky Crag, starting at the Kephart Prong trail. But once I got above the Kephart Prong/Grassy Branch side of the mountain and up to the stateline ridge, I got blasted by cold blustery winds. 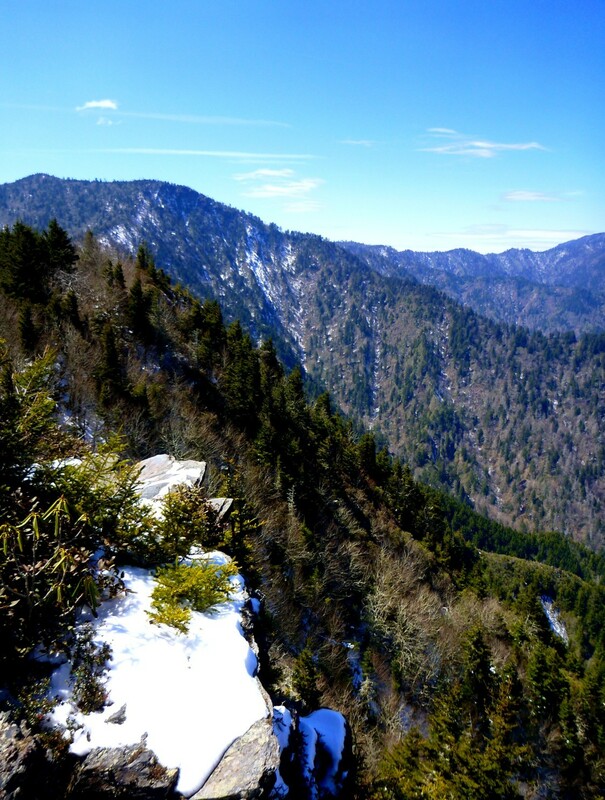 It was just too darn cold to go sit on the most exposed point in the Smokies. Point 5520′ made a good consolation prize. It is the high point between Rocky Crag and the A.T. The map below should clarify things. 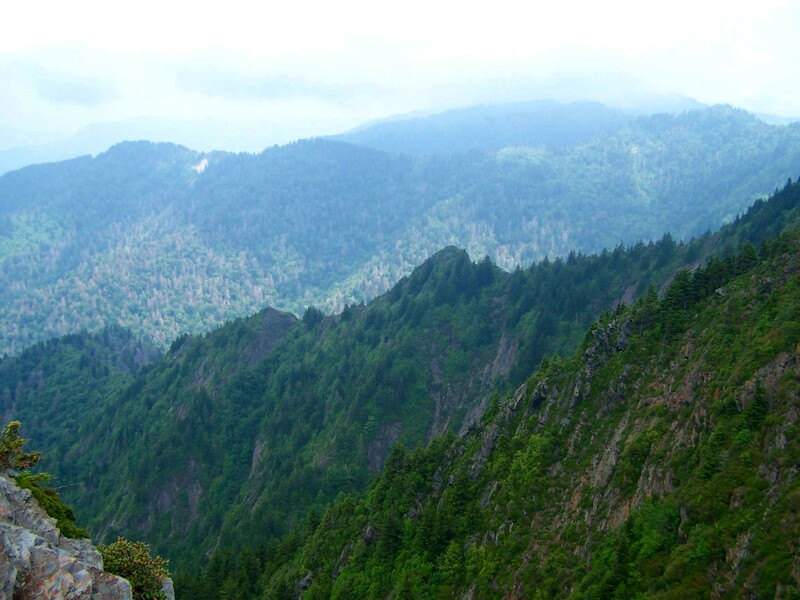 Just don’t let the words “Charlies Bunion” confuse you into thinking we’re at the Tourist Bunion. I’ve discussed this too many times to go into it here. 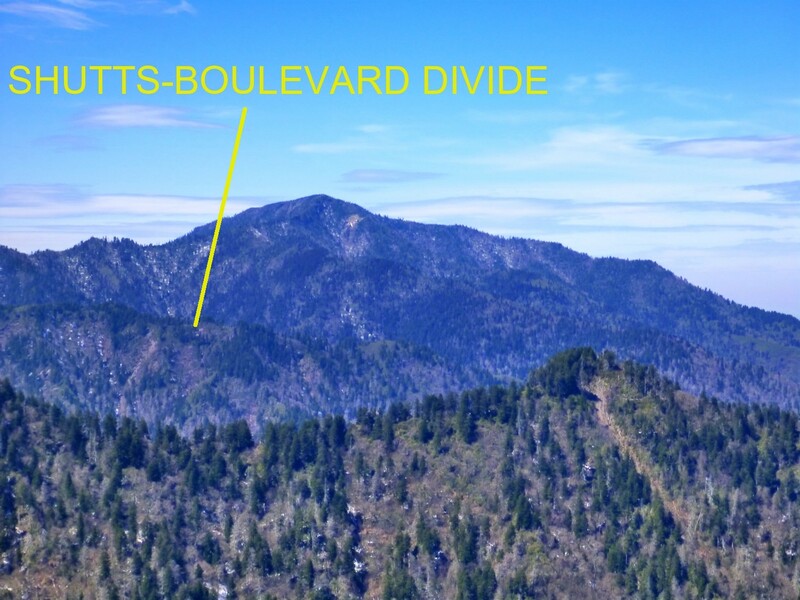 Here is a profile view of the ridge taken on another occasion (from the Tourist Bunion). The “tooth” on the ridge is Rocky Crag. Point 5520′ is out of sight to the right. As I expected, the weather today changed dramatically partway through. 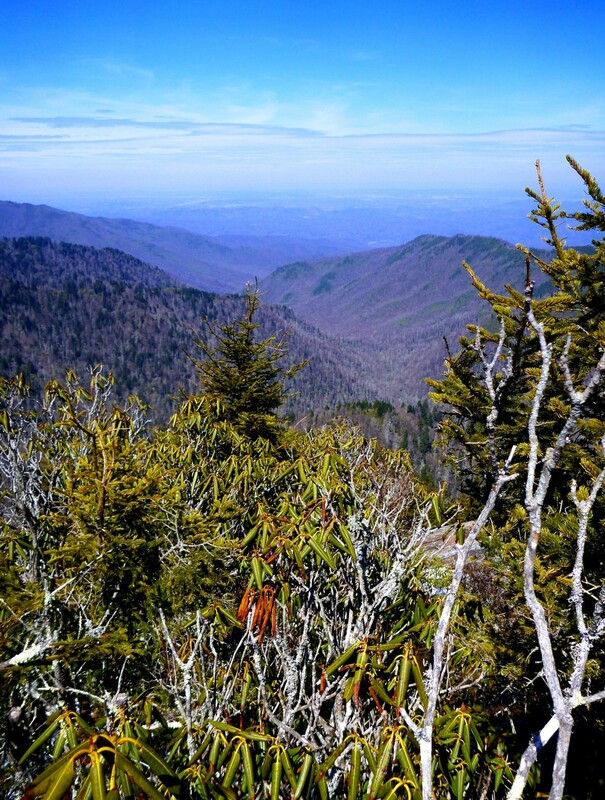 I was just a bit off on my guess about when the new weather system would move in (the preview for tomorrow’s warm rain) and the old weather system would move out (which gave LeConte a low of zero degrees, night before last). I was probably up top three or four hours too early. I bet it’s comfy up there now, at 6:30 in the evening. So I started up the boring old Kephart Prong trail. I always smile at the four footlog bridges. The first one is so beautifully made, wide and flat and solid, as if to lure in the unsuspecting hiker. The second one is not so nice, the third one worse, and the fourth one crappy, with a tilted, wobbly handrail. Of course, this morning the fourth one was the one that had the most ice. 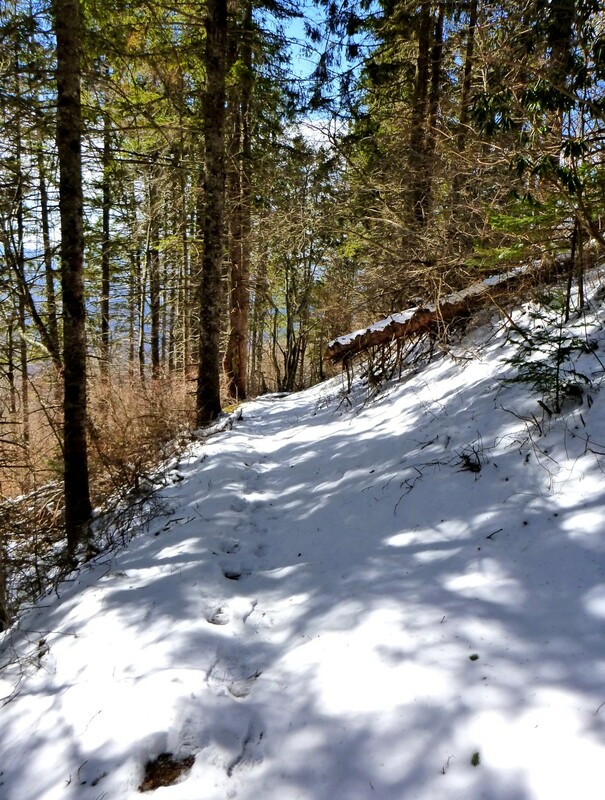 But I persevered, and started running into snow on the shadier sections of trail. Is it really late March? Everything was crispy and crunchy. It was definitely below freezing at this point. 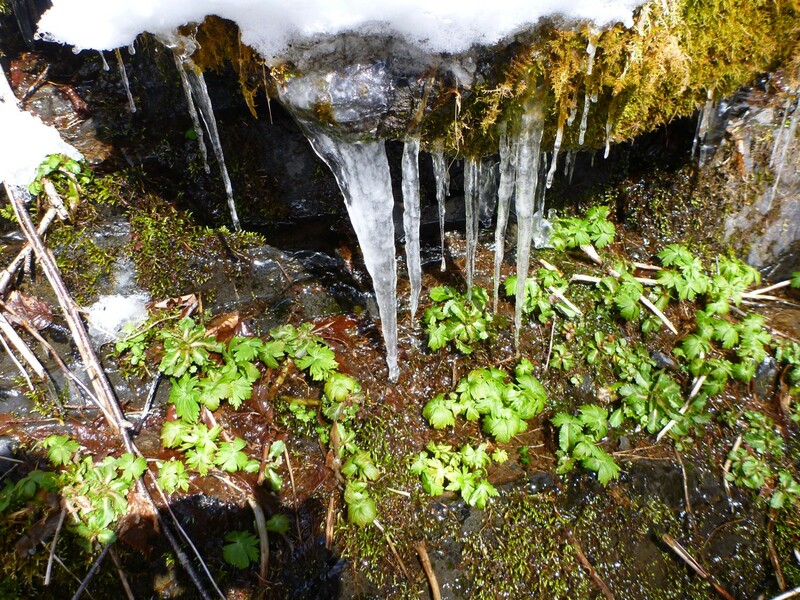 Tender green plants huddle beneath big icicles. I got up to what the Park Service calls the Dry Sluice Gap trail and achieved the day’s high point of 5700′. The trail then drops 300′ to where it meets the A.T. By the way, total elevation gain for this hike is around 3400′, distance about 12.5 miles. The wind was roaring out of the north. It was cold, and the A.T. was icy. I walked the short distance to the unmaintained side path and climbed up. I stopped below the very top in a sheltered spot and put on my down jacket and my mittens. Brrr! Then I climbed up the slabs to get views. Horseshoe Mountain and its scar. Looking down into Lester Prong valley. Middle Crag in foreground, Jumpoff in background. The view of the Tourist Bunion was blocked by Middle Crag. 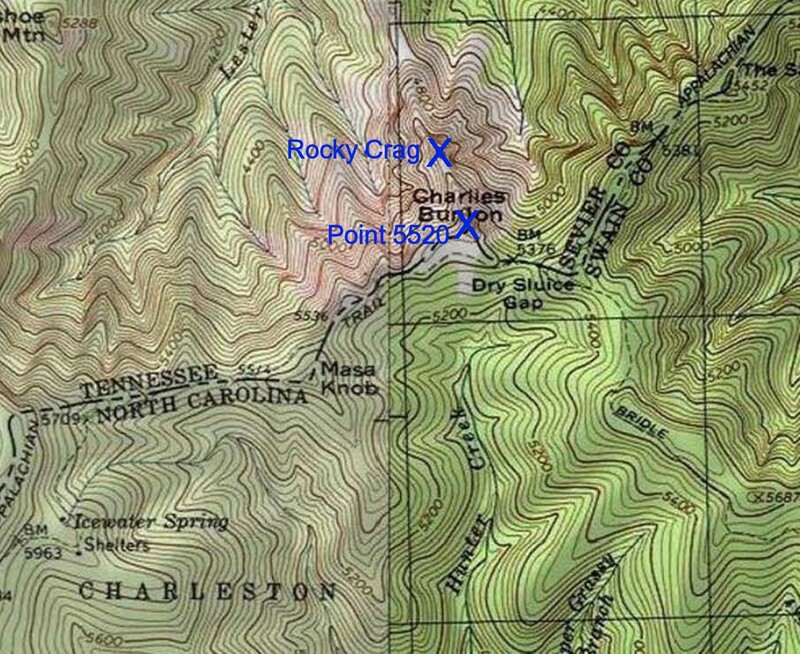 The photo below shows the divide between Shutts Prong and Boulevard Prong, where I had one of my best adventures last year. Telephoto view. 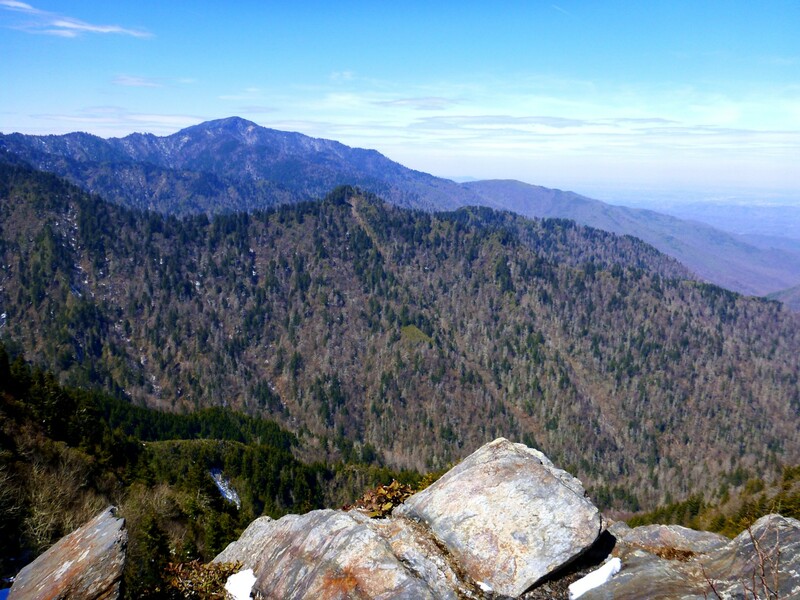 LeConte looms in the background. 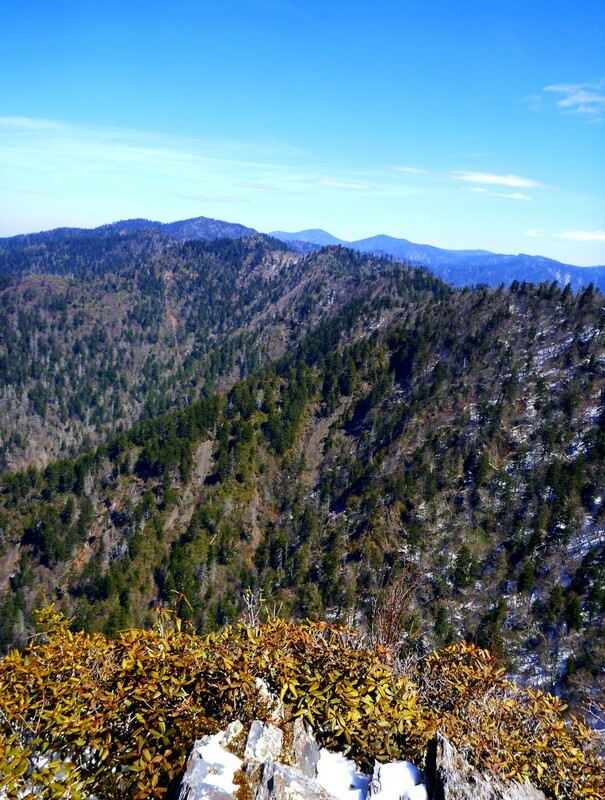 I climbed up to the actual high point and got views toward Porters Mountain. Sawteeth in foreground, Porters Mtn. in background. Looking down valley of Porters Creek. I peered down the rabbit hole that forms the start of the traverse to Rocky Crag. It was full of snow. It didn’t look very inviting. So I turned back toward the south and descended to the A.T., enjoying the big cushions of myrtle and the wind-sculpted spruces. 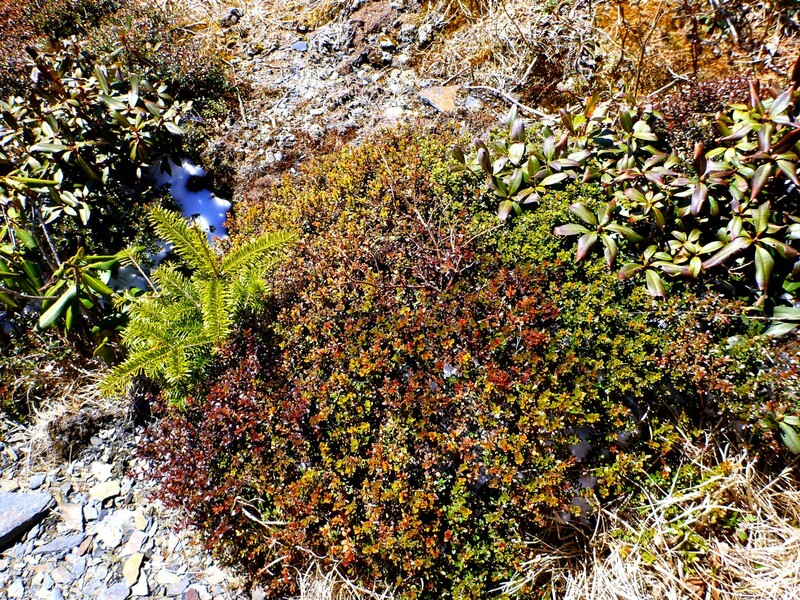 By the time I got to the lower elevations, a big thaw was underway. 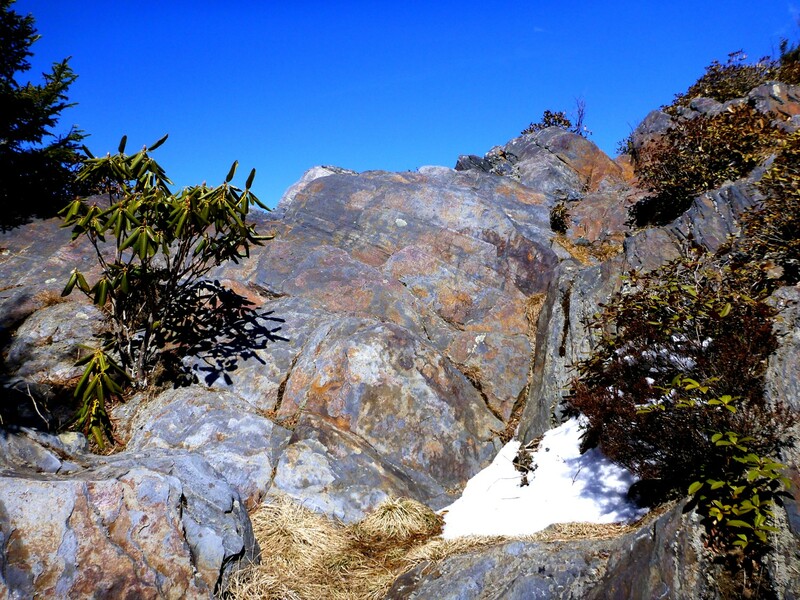 The footlogs had lost their snow and ice, and tons of people were wandering up the trail. It was an enjoyable day. Micro-garden with a bonsai balsam, myrtle, and Rhodo minus. 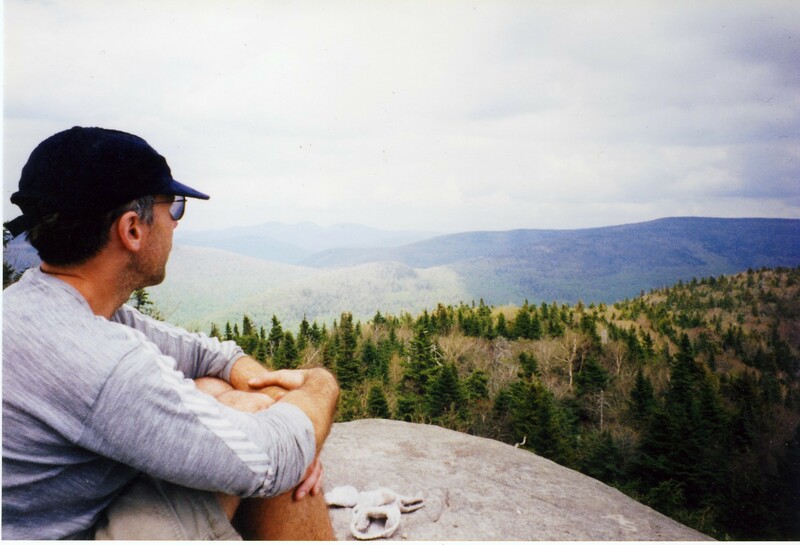 Posted by Jenny in grief, hiking, Life experience. 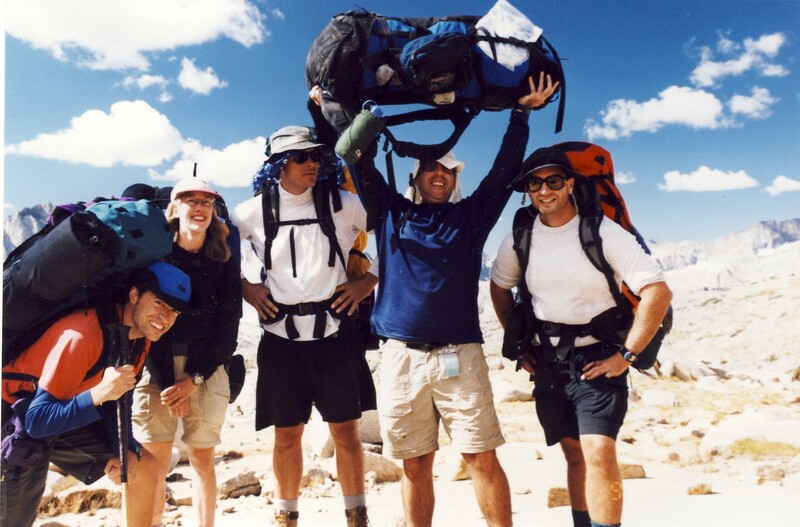 Bob demonstrates that his backpack was no more than a feather in the wind. I appreciate so much all the kind thoughts that have come my way. Thank you, thank you! I am feeling better now. 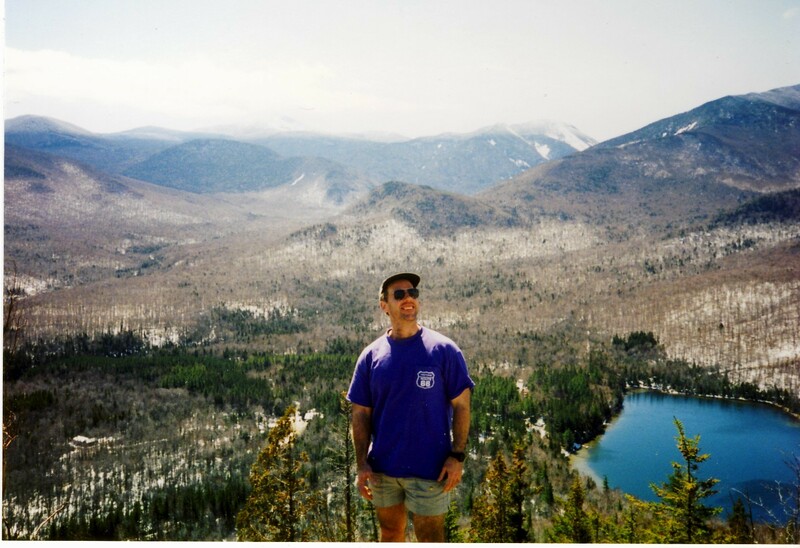 Heart Lake in the Adirondacks. On West Kill in the Catskills.